This playful card with a serious touch was designed here at Bella Forte Designs. 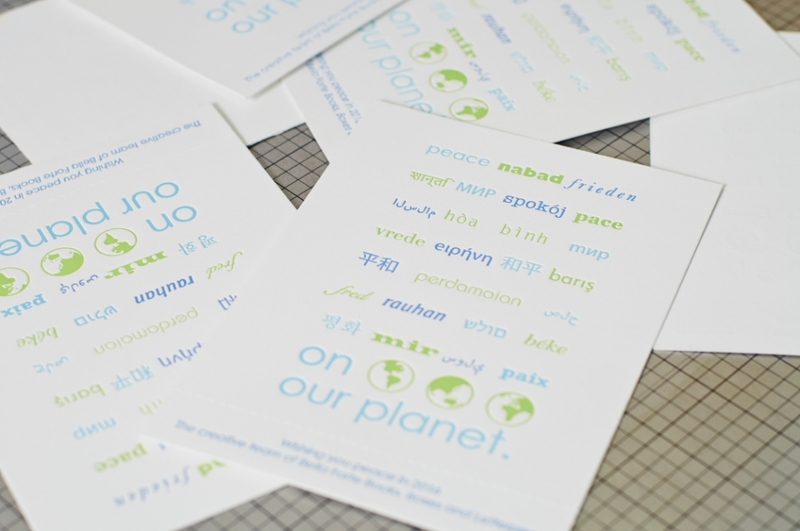 It was a three color letterpress job printed on 220lb Crane Paper that had the word Peace written in many languages. It also included the unique feature of having the message from our company perforated at the bottom so that when removed, the card could be used as a stand alone ornament. In the market for beautifully designed letterpress cards? Order or get a quote on our letterpress page today!